Mutual cooperation in health sector can bring benefit to common man: Turkish Surgeons. A team of two renowned and well reputed doctors from Turkey’s Acibadem hospitals provided free consultation to Pakistani patients ailing from Cardiovascular and liver diseases. 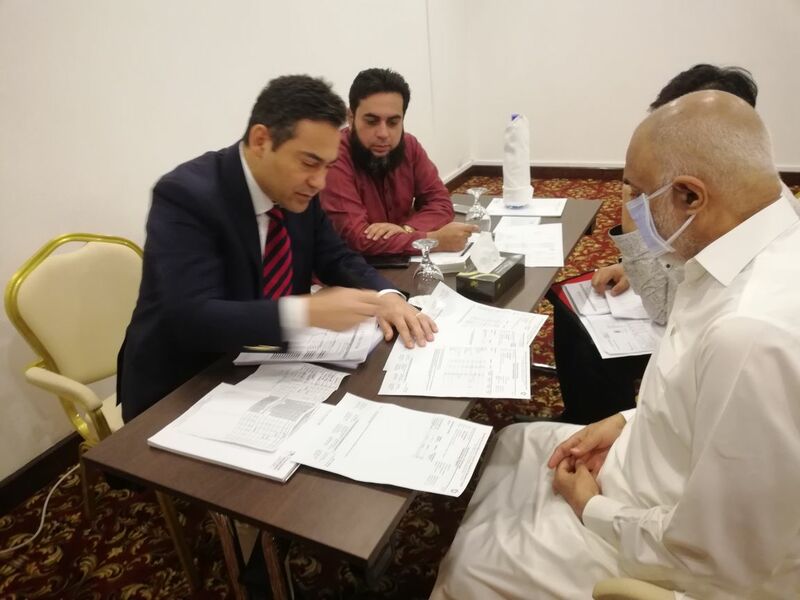 Cardiovascular Surgeon Professor doctor Ersin Erek and specialized Liver translaplant surgeon Prof. doctor Remzi EMİROĞLU consulted the patients in OPD session held at a local hotel in Lahore. Both the doctors spent a full day with visitor patients and provided consultation on how patients can avail better treatment options available in Turkey. Success rate of organ transplant in Turkey is above 90% which is more than Pakistan, China and India. Turkish experts told that mostly the organ transplantation being done through living donors. Professor doctor Ersin Erek is well reputed Cardiovascular Surgeon from Acıbadem Hospitals specialized in Pediatric and Congenital Cardiac Surgery. With an experience of over two decades doctor Ersin Erek is convinced that Congenital is a serious problem and Turkey has an extensive experience in dealing such cardiac issues and Pakistan can benefit from Turkish health expertise. Dr. Ersin said that patients sometimes have limited knowledge and sources of treatment in Pakistan and then they can utilize the treatment facilities available in Turkey and other countries. He explained that treatment for heart related diseases are much more expensive in other countries as compare to Turkey where all the top of the line medical facilities are equally available for every class of society. Prof. doctor Remzi EMİROĞLU a general surgeon with a specialization in Liver translaplant also examined the patients with liver issues and provided on spot consultation. He told that Pakistan lack facilities required to treat liver cancer and patients look for the option of liver transplant available in other countries including Turkey. Doctor Remzi told that Acibadem hosiptals are well equipped with all state of the art treatment facilities and Pakistani patients can get treatment from turkey with great satisfaction. He said that patients with liver disease need to maintain a healthy life style along with proper timely treatment. Patients were mostly satisfied with the consultation services. After meeting Prof. doctor Remzi EMİROĞLU , Mr. Abdul Jabbar who recently came back from turkey after successful liver transplant told media that he was quite happy to know that he can be treated and his disease is curable. He said that he was worried as the he was feeling comfortable about treatment from pakistan, India or China. He opted for Turkey because he felt insecure from Indian attitude. Another patient with a need of cardiac surgery, Ms. Zareen Akhtar expressed her satisfaction saying that now she can think of living a healthier life again by getting a better treatment from Turkey. She said that Pakistan’s government should focus more on providing better health facilties so that people who can not afford going abroad for treatment can also benefit from the advancements of medical science. He said that people were suggesting India as an option but he feared that visa process could be hectic and in future if she requires follow up and meantime the Pak-India relation are in turmoil then she coud face difficult situation. Acibadem Hospitals Group is one of the leading institutions in Turkey with its 22 hospitals and 17 medical centers and is the world’s second largest Healthcare Chain. Acibadem Hospitals will be a recommended choice for the patients who are looking for quality treatment.